United Nations, Sep 30 (CNA) — The Cyprus Presidency of the Council of the EU has opened new ways for Cypriot diplomacy, reaching out to countries with which Nicosia had limited contact so far, Cyprus Foreign Minister Erato Kozakou Marcoullis says. In an interview with “Greek News”, Marcoullis was asked to evaluate her visit to New York, on the occasion of the UN General Assembly. As the Minister notes, due to Cyprus’ chairmanship at the Council of the EU and developments in the exploitation of Cyprus’ offshore hydrocarbon reserves, the country’s profile has been raised, while Cyprus is being seen “in a different light”. Cyprus assumed the six-monthly rotating Presidency of the Council of the EU for the first time on July 1, 2012, while it is a member of the bloc since 2004. The Minister refers to Cyprus’ openings in the Western Balkans, an area the country had no relations with. As she puts it, “one of the priorities we have set is EU enlargement in the Western Balkans”. Moreover, she says that there are new perspectives and cooperation potential with Asian and African countries, while the Minister is scheduled to chair the EU political dialogue with Kazakhstan and other countries from Central Asia. Asked if she is worried on a potential crisis during the Presidency term, that could derail Cyprus’ goals, Marcoullis responds that an unexpected event, in the region or elsewhere, is always a possibility. She notes however that foreign policy matters are handled since 2009 – after the ratification of the Lisbon Treaty – by Catherine Ashton, the High Representative of the Union for Foreign Affairs and Security Policy and not by the Presidency. The Minister acknowledges that there are crucial issues preoccupying the international community, amidst developments in Syria and Iran, which put the Cyprus issue on a lower priority. She adds however that the fatigue which is evident in the international community also stems from Turkey’s policy on Cyprus and Ankara’s unwillingness to cooperate for a Cyprus solution. Marcoullis says Turkey continues to raise obstacles in the process, which results to no progress at all. “This is exactly Turkey’s policy; to perpetuate the problem, so as to bring about fatigue and disregard the Cyprus problem after a point”, she says. Our responsibility, she goes on, is to maintain the issue, by raising awareness on Turkey’s responsibilities vis-a-vis a Cyprus solution and by underlining that if the problem remains unsolved, there is a possibility for a fresh crisis. The Cypriot Minister also refers to the political influence the US and other key players may exert on Ankara for cooperating on a Cyprus solution. She notes that Turkey’s role has been upgraded in the last couple of years, in the Middle East and elsewhere, but adds, however, that the policy on which the country’s rise has been founded, is faltering. She refers to the “zero problems” foreign policy, conceived by Turkish Foreign Minister Ahmet Davutoglu, and notes that many of her interlocutors observe that the opposite is happening in Turkey, as Ankara has problematic relations with all her neighboring countries. “Besides, the arrogance in the way Turkish foreign policy is conducted is evident as well as provocative, concerning Cyprus at least” Marcoullis notes. She adds that Turkey’s stance vis-à-vis the Cyprus EU Presidency is causing irritation to all of Nicosia’s partners and beyond. “It insults in a severe manner not just a member state, but the EU itself and one of its most important institutions, the Council of the EU”, the Minister points out. Marcoullis was also asked about her recent meeting in New York with US Assistant Secretary of State for European and Eurasian Affairs Philip Gordon, which she said was “satisfying”. During their tête-à-tête meeting, Marcoullis said she reiterated to Gordon that Cyprus’ offshore wealth will benefit all Cypriot people, following the island’s reunification. Any other option would provide a counter-incentive for the Turkish Cypriot Community to work for a Cyprus solution, the Minister underlined. Outlining potential gains for Ankara, the Foreign Minister added that after Cyprus’ reunification, a government comprised by both Greek Cypriots and Turkish Cypriots will certainly grant a privileged status to Greece and Turkey. All can benefit from a Cyprus solution, this however requires a shift in Ankara’s mentality, she added. 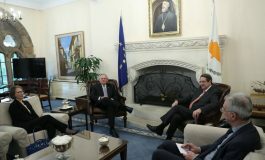 Asked on her advice to the next President of the Republic of Cyprus, Marcoullis said that he must remain committed to the framework which has been agreed since 1977 – with the High Level Agreements on the future Cyprus solution – and the framework that has been repeatedly affirmed by the UN Security Council. 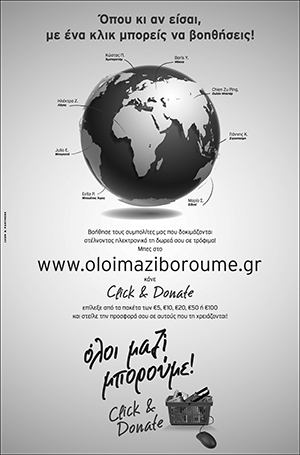 Presidential elections in the Republic of Cyprus are scheduled in February 2013. “UN resolutions are our political shield that allow us all these years to survive as a state”, Marcoullis points out and says that the existing basis for a Cyprus solution should not be abandoned. On intercommunal talks, the Minster says that a series of convergences have been reached since 2008, especially during the first two years. “We must work on these convergences to reach a comprehensive agreement, which will reflect the needs and the will of the Cypriot people” she said. Marcoullis likened the process to drafting a new constitution, which she noted must originate from the Cypriot people. Cyprus has been divided since 1974, when Turkish troops invaded and occupied its northern third. The two sides have been engaged in peace talks to find a negotiated settlement that will reunite the country, under a federal roof. 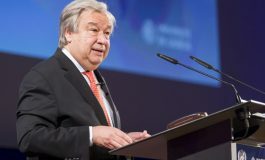 No new meetings have taken place following a second meeting at Greentree, New York, between the UN Secretary General Ban Ki-moon, the President of the Republic Demetris Christofias and Turkish Cypriot leader Dervis Eroglu, in January 2012. Cyprus has signed an agreement to delineate the Exclusive Economic Zone with Egypt and Israel with a view to exploit any possible natural gas and oil reserves in its Exclusive Economic Zone (EEZ). A similar agreement has been signed with Lebanon but the Lebanese Parliament has not yet ratified it. Ankara has threatened Cyprus when Nicosia launched on September 2011 its exploration activities within its EEZ and announced earlier this year a second round of licensing for off-shore hydrocarbon exploration and exploitation within the Republic’s Economic Exclusive Zone.